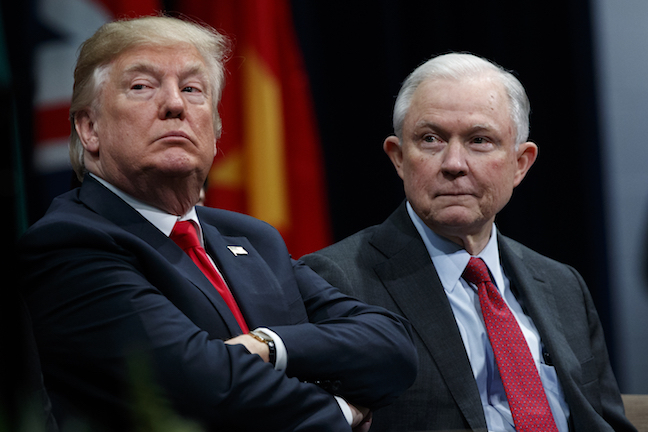 SAN FRANCISCO (CN) – The Ninth Circuit handed the Trump administration a legal defeat Wednesday, ruling the Justice Department does not have the authority to withhold federal grant money from sanctuary cities. A three-judge panel said the fundamental separation of powers enshrined in the U.S. Constitution bars the executive branch from refusing to disburse grants without explicit permission from Congress. “We conclude that, under the principle of separation of powers and in consideration of the Spending Clause, which vests exclusive power to Congress to impose conditions on federal grants, the executive branch may not refuse to disperse the federal grants in question without congressional authorization,” Chief Circuit Judge Sidney Thomas wrote on behalf of the majority. But the panel also found U.S. District Judge William Orrick III overstepped his authority by slapping the Justice Department with a nationwide injunction. The panel said Orrick has authority to issue injunctive relief for the counties, but the nationwide element of the injunction needed to be fleshed out with further proceedings. “Because the record is insufficiently developed as to the question of the national scope of the injunction, we vacate the injunction to the extent that it applies outside California and remand to the district court for a more searching inquiry into whether this case justifies the breadth of the injunction imposed,” Thomas wrote. The panel’s ruling stems from a lawsuit filed by San Francisco and nearby Santa Clara County, which claimed the policy violated the provisions of the Constitution on separation of powers. According to the government, Trump’s executive order to cease supplying grants to cities with sanctuary laws applied to a relatively small pot of money that requires compliance with federal immigration laws. U.S. Circuit Judge Ferdinand Fernandez dissented, saying the case was not ripe for review. “The executive order itself is not directed toward the counties at all; it is directed to federal government officials only,” he said in his brief dissent. The Justice Department did not respond to a request for comment by press time.